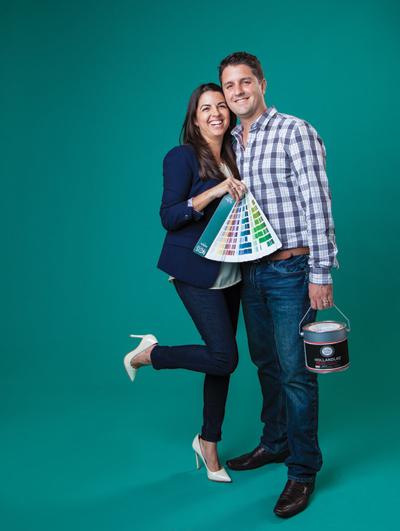 As a painting contractor, Jason Bertoniere has been very busy for the past decade. Bertoniere started the business at the age of 19, and he has been helping rebuild, restore and beautify the Greater New Orleans region ever since. It is easy to overlook the importance of drywall and paint in the overall construction and maintenance of a house, but Bertoniere sees things differently. And that dedication has paid off big time this year. Bertoniere was featured on the cover of the June 2015 issue of Walls and Ceilings, a national trade magazine that highlighted his Level Five drywall finish work. Bertoniere will soon earn his Fine Paints of Europe certification, and he plans to expand his business into the commercial realm this year while maintaining a keen focus on quality. “We hope that when people want to create or restore the beauty of their homes, our brand is the first that comes to mind,” he says.